Students are given the rules of competition and a set of facts in the form of six witness statements. These statements (which always have a humorous edge to them) leave room for ambiguity so that the two sides of the case are closely balanced. From these materials the students conduct a trial before a judge that lasts slightly less than two hours. The trial has all the usual components: opening and closing statements, and direct and cross examination of witnesses. Each team will compete on either the Plaintiff or Defendant side at least once during the tournament. So the competition is mainly for students interested in becoming lawyers? Absolutely not! The competition is excellent for any student wishing to improve his or her ability to analyze facts and present a compelling argument, improve their public speaking skills, the ability to think on their feet, and their overall self-confidence. On a typical team only three students compete as lawyers. Six of the other students compete as witnesses and in effect portray a role – much like a drama production, except that what the student says is unscripted, and that often makes things very interesting, and gives the students more creative running room. Therefore this competition is great for students with all types of backgrounds. In addition to an exceptional educational and confidence building experience, what else will my students gain from this experience? 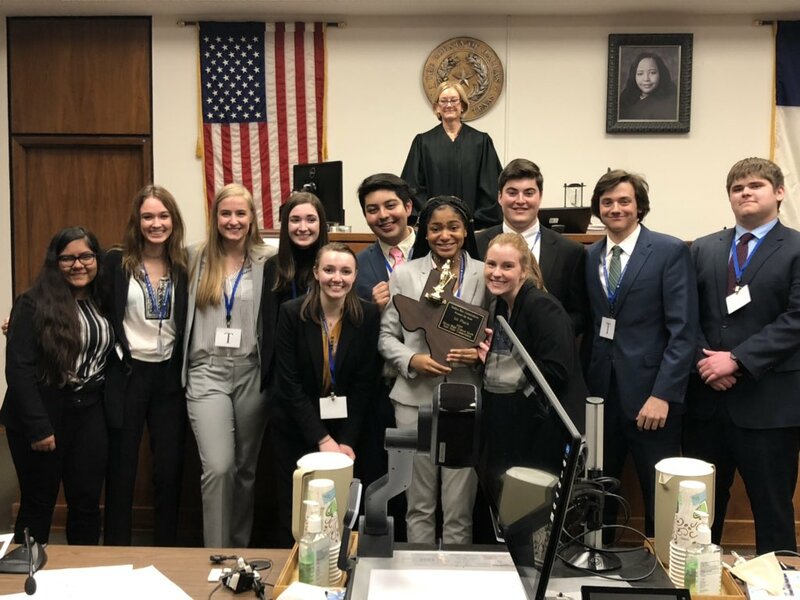 Teams who progress to the state competition (and also in some regional tournaments) that place within the top 4 are awarded scholarship monies for higher education. 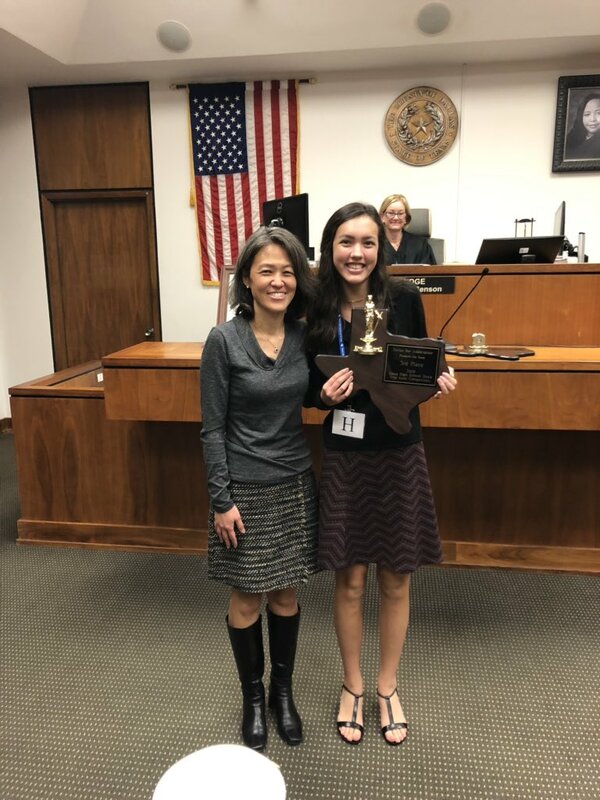 There are also awards given to the student that portrays the best student attorney and the best student witness as decided by the judges. 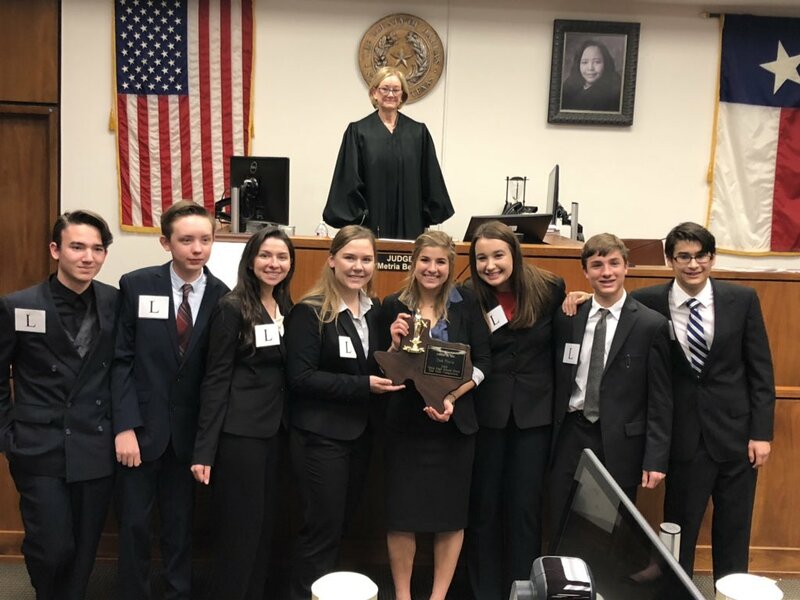 At the state level, participating teams vote for the most professional team at competition and they are awarded with the Judy Yarbro Professionalism Award (an engraved 3ft. wooden gavel). Practicing local judges and attorneys. There are usually three judges in each round of competition. See Case Materials rules for details and judging criteria. I don’t know anything about how to conduct a trial. Who can help me and my team? It would be helpful to recruit a local attorney to help ‘coach’ or advise the team on everything from courtroom decorum to how to dissect a case. We might be able to help locate an attorney for you or at least give you a few ideas on where to find one. Under the ‘Materials’ tab on the website you will find guidelines for Attorney Advisers and Teacher-Coaches. You may also consider purchasing one of our mock trial DVDs or an old mock trial case. Items can be purchased through the registration portal on the website. How many students need to be on the team? Ideally ten – three attorneys, six witnesses, and one timekeeper. You can have as few as six with three attorneys and the three witnesses playing two roles instead of one while utilizing the other team’s timekeeper. We recommend a minimum of seven on the team (including a timekeeper). What is the date of the competition and where will it be held? The competition will be held in your region some time between mid-January and mid-February of that school year. Dates and locations will be updated on the website calendar and here. When are case materials available? The case materials will be available for download from the ‘Materials’ page of the website on October 1st. What is the Deadline to sign up for this competition? What is the sign up fee? The registration fee of $175 covers the competing team’s entry in to the competition as well as the case materials needed to compete. Who do I contact for questions about the case? When you have questions about the case, check the “Materials” tab and go to the Case Materials section under the “Case Clarifications” document as we may have already answered it. Otherwise, please email your question to the State Coordinator at txhsmocktrial@dallasbar.org.